From 2 to 5-star in Cognac or in the suburbs, Destination Cognac suggest you a large range of hotels. For couples, with kids or to work, for a night, a weekend or more find the hotel that suits you the best ! Book your bedroom for a night, a weekend or more on Destination Cognac ! For romantic holidays in the vineyards or a trip with friends for a festival in town the choice is yours ! 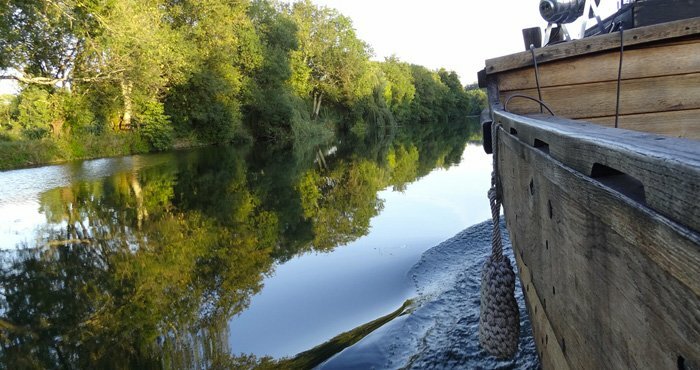 Discover our gîtes or self-catering cottages for a short stay, holidays with kids, along the river Charente in the middle of the vineyards Destination Cognac offers you all those possibilities ! You dream to sleep in a gipsy caravan ? Or a tepe ? Discover Destination Cognac unusual accommodation for an unusual and unforgettable stay. To get a change of air spend a few days in our campsites on spot for a tent, a caravan, a camper-van or even rent a mobile-home ! Directly on a farm, or along the river Charente, in a family or a 3-star campsite Destination Cognac promises you relaxation and friendliness for great holidays ! You chose to discover Destination Cognac by roads ! We help you to find a camper-van service area to spend a night or a few days in town or in the vineyards.